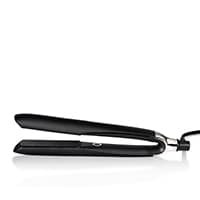 For years I have always used ghd hair straighteners. They are simply the best on the market. Smooths hair perfectly without causing damage. Also great for creating curls..waves. well worth the money and if you look after them they last years. 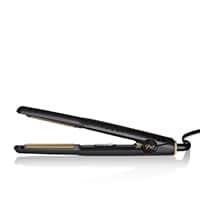 I have previously used the standard size straightener but my hairdresser uses the max styler on me even though my hair is only shoulder length, and the results are always good, so I thought I would try for myself and I find it quicker and also gives my hair a bit more lift. 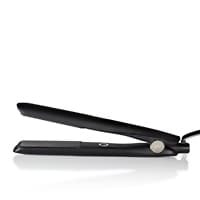 I have been using my current styler for 9 years without any problems, and it is still working, so I didn't need to buy the new max styler,, just did! 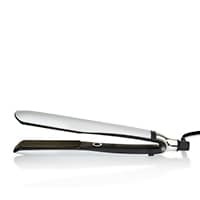 These Mini styler straightners are perfect for short hair, especially the fringe, my old straightners made my fringe stick out rather than lay flat as the plates were too wide . They heat up really fast , with a notification beep to tell you they are ready to use, and have a safety cut out if they're left on. The plates are so smooth and give a nice shine to my hair. Would highly recommend . I have fine, curly, frizzy hair. Before receiving my ghd gold styler, I had been using a Chi straightener for 10+ years. I am convinced that the Chi straightener completely ruined my hair. The high heat from the Chi left my hair looking dry, broken and extremely damaged. Before using my ghd, I went out and got a haricut to really put this product to the test. It's only been a few weeks, but I feel as if my hair looks healthier already! 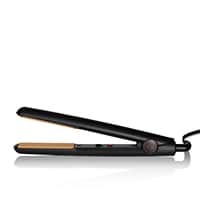 I am extremely happy with my purchase and would recommend ... read more this styler to anybody.